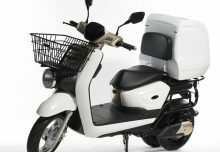 Do not be deceived by the “nerdy” look of the Gogoro’s electric scooter! 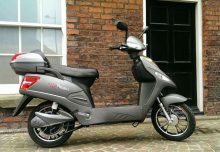 As the review below suggests, the electric moped has many gadgets such as uploading your own sound for the turning signals, which leads some to believe the electric scooter is simply a “geekcycle.” However, the clean energy electric moped leaves all stereotypes behind once it gets going and with 0-50MPH in a matter of seconds, we can see why! 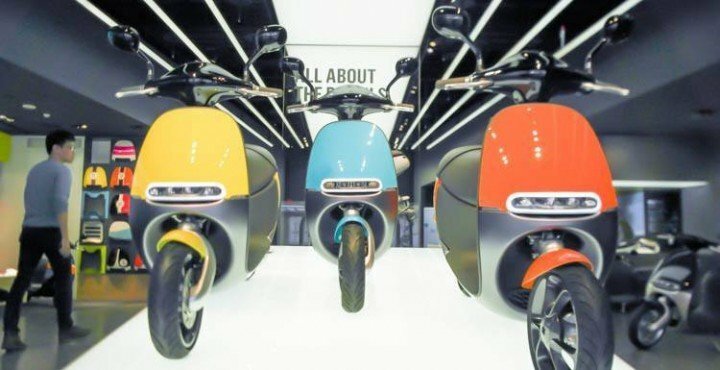 Gogoro is a geeky electric scooter with the soul of a motorbike! After getting a tour of Gogoro’s flagship store in downtown Taipei, I reached a conclusion about the company’s electronic scooters: they’re geekcycles. What else would you call a bike that lets you use your phone to upload custom chime sounds for the turn signals? 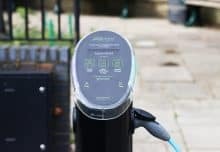 A bike whose app allots “merit badges” for triumphs like using a charging station at night or riding a certain distance between charges? When I saddled into the bike for a test drive, I thought I was atop a charming – if slightly nerdy – ride. I thought wrong. My mistake dawned on me about two turns into our test drive, as the kindly shop assistant, Amy, opened the freaking throttle and fired us from a full stop to 80 kilometres per hour (50 mph) in a matter of seconds. And she was just getting started. Amy – who has several Gogoro merit badges for speed, by the way – rocketed us through the streets of Taipei. The scooter leaned into turns, accelerated without putting up a fight, and stopped on a dime. The gasoline-powered mopeds that clutter every Taiwanese intersection blurred by like slow-moving antiques. 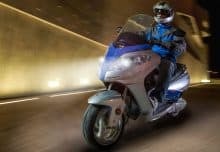 The Gogoro may have the flares and flourishes of a techy ride, but it has the soul of a motorcycle.